There follows a list of the most frequent questions and answers with respect to the use of our portal habitaclia. Click on the questions to be able to see the answer. ¿Tienes dudas sobre el uso de tus datos? ¿Cómo habitaclia se adapta a tí? ¿Qué herramientas utilizamos para mejorar habitaclia? ¿Y con guién compartís mis datos personales? Do you have any doubts over advertising properties as an individual? How can I publish an advertisement as an individual? How can I change my advertisement? How can I add the exact address of my ad? Where can I see the queries for my ad? What does "my ad is pending confirmation" mean? Why has the publication of my ad been turned down? What must the images in my advertisement be like? How can I see my advertisement? What do I put in the headline field of my ad? Why has the advertisement expired? How can I cancel/delete my advertisement? How much time is an individual’s ad active? How much does it cost to publish an advertisement if I am an individual? Why do I have to validate my phone number? How can I validate my mobile phone number? What does it mean, my phone has been validated? What does it mean, my phone number has been validated by another user? Do you have any doubts over habitaclia? What is habitaclia? Is habitaclia an estate agent’s? Is the property offer updated? Do you have problems with your user registry? How can I remember my username and password? How can I cancel my username? Do you have any doubts over the published ads? How can I see the advertiser’s telephone number? How can I ask for more information on an ad I am interested in? What is the advertisement code? Are there properties of individuals? What does it mean that the private advertisers's phone number has been validated? Do you have problems with the mails you receive? How can I receive the information on the properties I am interested in in my e-mail? How can I change my alerts? How can I delete alerts? If you are an individual, you can publish your ad of a property on sale or for rental or both options at the same time entirely free. Your ad will be seen by thousands of visitors looking for properties. To publish your ad, you must register as a user in our portal, you just need to create an account. Click on the violet button at the top right of the portal. Click on the button "Start now" and add your basic data, general details and photographs of the property (30 images). Remember: The images cannot include logos, supperimposed texts or watermarks. Click on "Publish the Ad". The ad is now recorded and is pending authorisation in a process which might last between 24 and 72 hours. You will receive an e-mail indicating whether the property has been validated. Once inside, from My Account, click on "Modify my advertisement". In the menu on the left, press "Change Data". Remember that depending on the modifications you make, it is possible that your ad might go into the validation process. From this same point you can also organise the photographs, renew the ad or delete it. From My Account, choose the option "Change my ad". 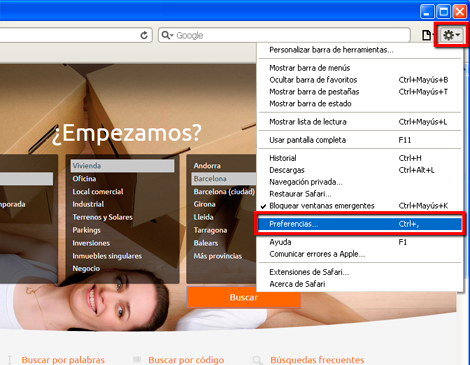 In the top left corner you will find an informative area with the text “If you want, you can re-enter the address”. Click on this link. Enter your property address in the "Address" field. You only need to write the name of the street. In the next box, enter the number of the property. If the street is not numeric, write "s/n". Click on “Continue and publish” A window with a map showing the location of your property will open. If the spot is not really where it should be, you can move it to the correct position by clicking over it and dragging it to the correct position. 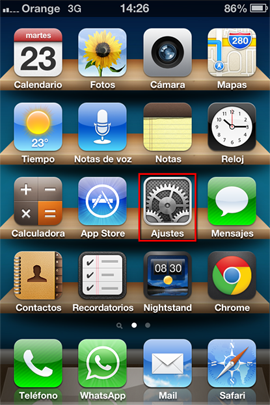 You can also change the zoom level or focus the cursor. Click on the "Save and next" button, and on the next screen, click the button "Save". You can consult the queries for your ad from your private area. On the main page of your account, you will see the summary of the ad. Click on the link "You have X Queries" which you will find above the "Manage my ad" button. You will access the queries page where you can see information about the people who are interested in the ad. Click on "See query" to view the message. Before approving the hanging or modification of an advertisement (adding photos, data, etc.) we validate the data of the properties in order to make sure that they can be published. This process can take between 24 and 72 hours. Meanwhile, you can continue to add information and photos to your advertisement. Recommendations to improve the positioning of your property: enter as much information and as many photographs as possible to give your advertisement more quality and more contacts. Try to make sure the photographs are clear, light and add a title that describes the space and location (e.g. room with a view of the main street). Avoid writing observations in capitals as this has been seen to be slower to read. Before publishing any ad, we make sure the details are correct and can be published on the portal. This process can take between 24 and 72 hours. At the end, you will receive an e-mail where we will tell you whether the property has been validated and is being published on the portal, or otherwise, an e-mail in which we explain the reason why we have failed to validate your ad. Enter as much information and as many photos as you can, your ad will have more quality and more contacts. Try to make sure the photos are clear and light and add a title to describe the space and its location. E.g. Room with a view of the main street. Complete the Highlight field of your add. You must highlight the most outstanding feature of the building. E.g. "Car park included"; "Totally refurbished". Avoid writing the observations in capitals as it has been demonstrated that these take more time to read. Confirm your telephone, remember that confirmed telephones produce more confidence amongst those interested in your ad. Images are the best possible presentation of the property. The users will have great expectations at the published images as they produce a better idea of what the dwelling is like. The photographs must be clear, light and it is recommended that a title should be added to describe the space and location. We do not admit images which include logos, superimposed texts, watermarks and/or compositions of several photographs. Recommendation from habitaclia: the more photographs you add, the more quality and contacts your advertisement will receive. How can I locate my property? How can I see my ad? After passing the validation carried out by habitaclia, an advertisement code will be assigned to enable you to locate your property. You will receive the code in the publication validation e-mail and you can also see it if you enter your account. When you enter the general details for the property, there is a field called headline. What is an expired ad? Why has your advertisement expired? An advertisement has expired when six months have passed and you have not made any changes or you have not renewed the publication and the ad is therefore not seen on the habitaclia portal. You can cancel your ad from your private area. Access "My ad" menu and in click on the "Delete ad" link. If you want to stop recieving alerts go to "Emails I recibe on your private area. You can have your ad published for the time you want, but you must renew it or update it within six months. In your private area and in the statistics mails you will see warnings indicating the time remaining before expiry. We therefore avoid having outdated or non-current ads on the portal. There is no cost to publishing ads, it is totally free to publish 1 advertisement as an individual user. If the phone number is a mobile, it has to be validated by all private advertisers who want to publish a property in habitaclia. This process is free of charge for the private user. If you do not have a mobile phone but only a landline, then you do not need to validate the phone number in habitaclia. This way, we ensure the contact details of private advertisers are correct and that users making queries about ads in habitaclia receive the correct contact phone information. 1) Select the phone number you wish to validate. 2) Click on "Get code", and we will send you an SMS with the code to your mobile phone. 3) Enter the code you have received on your mobile phone and click "Continue". Bear in mind that the SMS we send you may take a few minutes to arrive. The service is completely free of charge and is limited to five validation code requests per day for one mobile phone number. It means your phone number has been confirmed in habitaclia via the validation code received by SMS that you requested. This way, we ensure the contact details of private advertisers are correct and that users making queries about ads in habitaclia receive the correct contact phone information. Bear in mind that validated phone numbers inspire more trust from people interested in your ad. It means your phone number has been validated previously from another user account in habitaclia. If your phone number is new, it may have belonged to another user previously, which means it may have been validated from another user account. If you think this is mistake, get in contact with our user customer service. habitaclia is NOT and estate agent’s, it is a real estate portal. As a portal, it deals with bringing buyers and sellers into contact over the Internet and does NOT receive any kind of mediation fee. habitaclia is a real estate portal where individuals and companies announce their properties. Through the interest of the advertisers, the information is checked and updated constantly. Furthermore, we offer the possibility of contacting the person or company managing the sale directly, either by telephone or by a electronic mail. To create an account in habitaclia, you can access the account creationpage or click on the "Create account" link that appears at the top right of any page of the portal. To remember your username and password, access the following link: https://francaise.habitaclia.com/hab_usuarios/loginusuario.asp, click on "Forgotten your password?". Click on "Forgotten your password?" Enter your e-mail and click on "Receive my password". You will receive a mail, click on "Change password". You will receive an e-mail with the new password. Remember you can change it from your private area. You can cancel your username from your private area through the "Account configuration" menu and pressing "Delete my account". 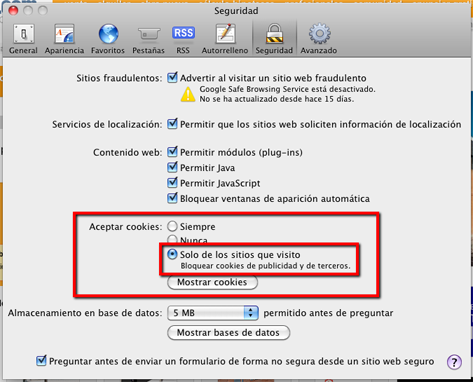 To ensure the proper functioning of your user account you need to enable cookies on your browser.. Cookies are required to keep the session active. Otherwise you may experience session timeout errors. A cookie is a small data file that a website stores on your device so that it can recognise you the next time your visit. That way, the website can be customized according to the information you have provided.. IMPORTANT: Some websites may not work properly unless you allow their cookies. Click the button Tools and then, under Internet Options. Click the tab Privacy and then, under Settings. Move the slider to the top to block all cookies or to the bottom to allow all cookies, and then click Accept. 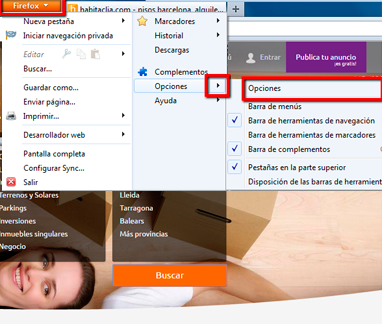 Click the Firefox button at the top of your Firefox window (Tools menu in Windows XP) and click Options. 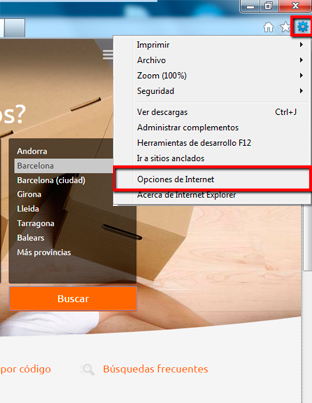 Choose from the dropdown menu Use custom setting for history. 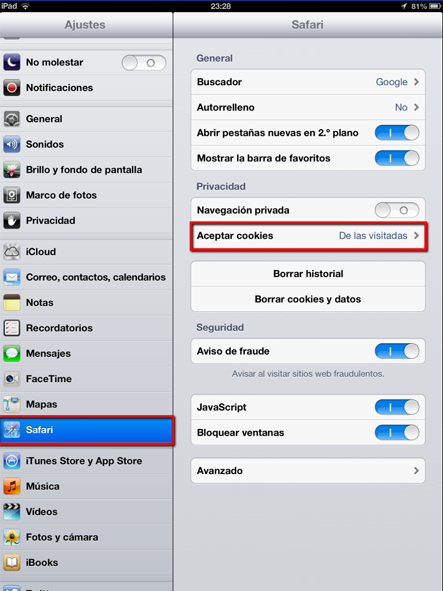 Check the option Enable cookies to enable them. Click OK to close the window of Options. In the Privacy section, click the button Content settings. 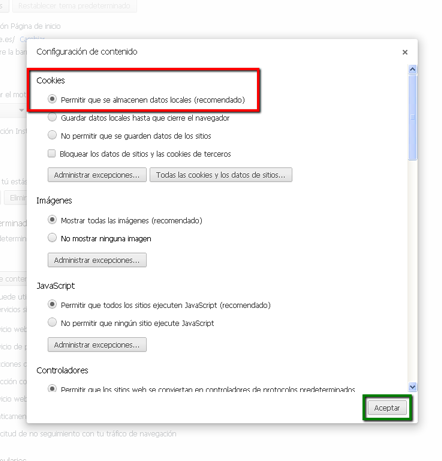 In the Cookies section, check the first option Allow local data to be saved (recommended). 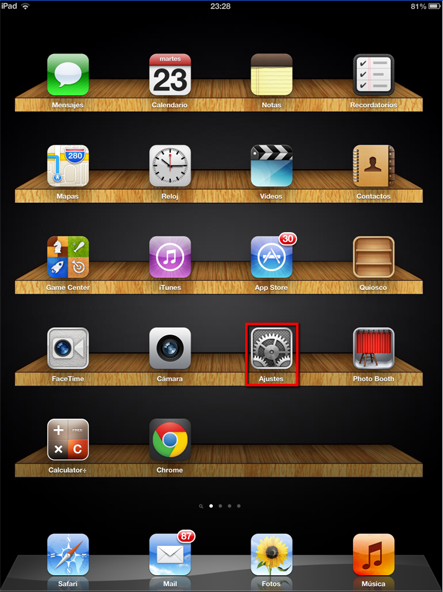 On the home screen, select Safari. In the Allow cookies section, check Only of sites I visit. Click the button Tools and then, under Preferences. In the option Block cookies,Select Of advertisers and third parties. On the home screen, select Settings. 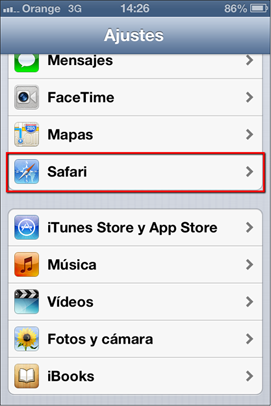 Select from the list the option Safari. 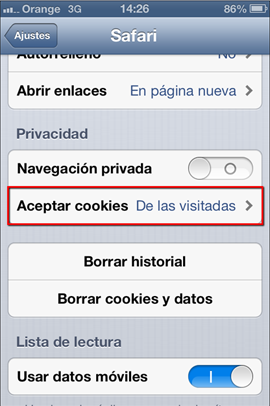 In the privacy section select Enable cookies. Check the option From visited. 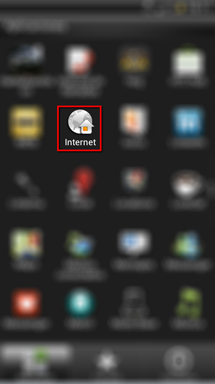 On the home screen, open the Internet browser. Press the menu button on the Android device. From the list of options select Settings. In the Cookies section check Enable cookies. 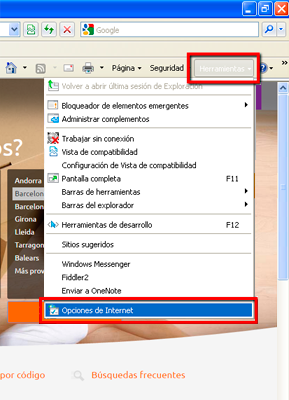 From My Account, go to the “Account Configuration” central menu. Click on “Change my account details”. If you are interested in any property either to rent or to buy and you want to contact the advertiser, you must look at the property sheet. Go to the property sheet. To the right of the main photo, you will see the box with the logo of the estate agent’s that has published the advertisement or the word “individual”, if it is an indivdual’s property. Alongside this information, an orange button with the text “Contact the advertiser”. If you click on the button, you will be given a form with the title "Contact the advertiser”, which is at the end of the property sheet. In order to see the advertisers telephone number, you must complete the form. When the request has been sent, you will see the telephone number. The advertiser will receive an e-mail with your query. How can I ask for further information on an advertisement that interests me? For more information on the properties advertised in habitaclia, you must contact the property advertiser. habitaclia gives this code to be able to locate a specific advertisement directly from the browser. The format of the code is 12 numerical digits. Yes, in habitaclia you will find hundreds of offers from individuals who want to sell their property directly without intermediaries. How can I publish an ad as an individual? The private advertiser has confirmed his/her phone number at habitaclia by entering the validation code delivered to his/her phone by SMS. With this we grant that the private advertiser's data are correct and, therefore, the requests for information done by users at habitaclia will get the correct information to contact by phone. All the profesional advertisers have their phone validated. How can I receive the information of the properties I am interested in in my e-mail? 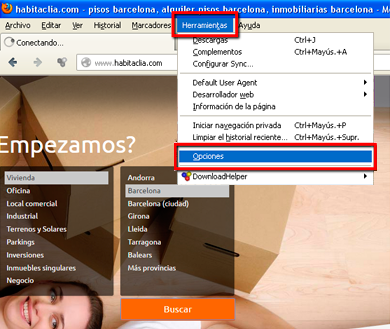 habitaclia can send you the advertisements with the characteristic you are looking for. You don’t have to look for them if you don’t want to. To do this, habitaclia offers you the “alerts” service. Alerts are a service from habitaclia so that you don’t have to be constantly looking for the properties of interest to you on the web. We send you an e-mail with the properties that agree with your search preferences. When you look for a property in habitaclia, you have the option of creating an alert to receive properties in your e-mail with these same characteristics. - You can create an alert from the list of ads in an area. This is the list alert. - You can also create an alert from the property sheet. This is the ad alert. - How can I create an alert from the search list? 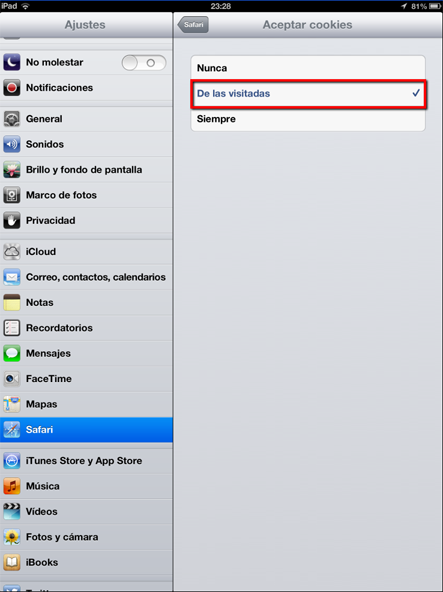 Make a search with your preferences, using the maps and filters you will find on the left. 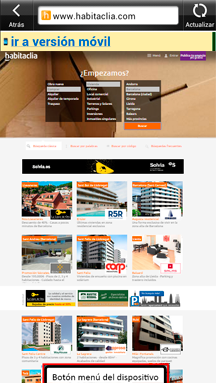 In the list of properties, you can see a box on the left with the title “Receive alerts by e-mail”. Whenever there is a change in these ads (for example, a change of price), you will receive an e-mail. Once a week, you will receive another e-mail with ten properties matching these characteristics. Your alert will always take into account the criteria you have chosen to select the properties you will be sent. - How can I create an alert from the ad? If you are interested in a specific property but its price fails to adjust to your pocket. On the property sheet, next to the sale or rental price, you will find a button “Advise me if it drops”. By clicking on this button, an alert will be registered on this property and when the advertiser drops the price, you will receive an e-mail informing you of the change. You can save the property you like in “favourites”. On the property sheet at the bottom of the main photo, there is a button “Add to favourites”. Click on the “Add to favourites” button. - If you are registered, you will be asked to start the session. The property will be saved in your list of favourites. - If you are not registered as a user, you must create an account in habitaclia. When you have created your account, the property will be saved in your list of favourites. These are properties with similar characteristics in the same area or population. If you want us to send you similar ads, click on the link "Receive alerts of similar ads" that you will find on the advertisement sheet, over the photo gallery. On clicking on the link, an alert will be registered and when there is news or there are changes, you will receive an e-mail with the list of properties. You can change your alerts from your private area in the "Emails I receive" section. Click on "Emails I receive"
Click on the "Emails I receive" section, which you will find in your user menu. You can see all the alerts you have created, both list alerts and ad alerts. Click on "Manage" to modify them. You can delete your alerts from your private area in the "Emails I receive" section. Click on "Emails I receive" section, which you will find in your user menu. You can see all the alerts you have created, both list alerts and ad alerts. Click the orange button next to the "You receive emails" message and the alert will be deleted automatically. Habitaclia forma parte de Schibsted Classified Media Spain, S.L. ("Schibsted Spain"). En Schibsted Spain tratamos información que tiene como objetivo principal ofrecer y mejorar nuestros servicios para que tengas una experiencia satisfactoria. Por ello, en Schibsted Spain nos tomamos muy en serio los datos personales que nos facilitas al usar nuestros servicios y nos comprometemos a mantener tus datos personales completamente a salvo. Schibsted Spain no comparte con otras compañías los datos personales que nos facilitas al usar alguno de nuestros servicios pero existen casos en los que sí que necesitamos compartir tus datos con terceros. Más adelante te lo explicamos. Nuestro sueño es ser el marketplace que mejora la vida de las personas. Conociendo tus necesidades y gustos, somos capaces de adaptar nuestro producto a ti para hacerte la vida más fácil. Por ejemplo si estás buscando piso en Habitaclia, podremos recomendarte opciones basadas en tus últimas búsquedas para ayudarte a encontrar las mejores ofertas. ¡De esta forma, puedes encontrar lo que buscas de forma mucho más rápida! Podemos recoger tus datos cuando te das de alta en alguno de nuestros servicios o mientras utilizas habitaclia, tanto en web como en app. Por ejemplo, si te das de alta en alguno de nuestros servicios, te pediremos que nos facilites tu nombre, teléfono o correo electrónico. 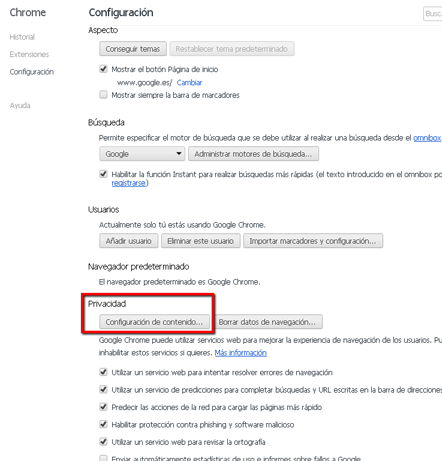 Si además te registras usando la opción del llamado "social login" que ofrecen algunos de nuestros sites para facilitarte el registro, en ese caso, los datos personales que trataremos serán el nombre de usuario y contraseña que uses en la red social, tu correo electrónico, la dirección IP, el navegador usado y cualquier otra información que decidas compartir con nosotros de tu perfil social o que se establezca a través de tu navegador como la foto de perfil. Y mientras utilizas habitaclia, mediante el uso de cookies podemos recoger información como el tipo de navegador que utilizas, el sistema operativo y la configuración de navegación, tu localización aproximada y el identificador de tu dispositivo. Si estás de acuerdo, compartiremos tus datos personales y la información de tu anuncio con un profesional inmobiliario para que te ayude a vender o alquilar más rápido tu inmueble. Tienes más información en el apartado de ¿Con quién compartís mis datos? Si creas una alerta te avisaremos cada vez que se publiquen nuevos anuncios que coincidan con tus preferencias de búsqueda..
Novedades de habitaclia: comunicaciones con las novedades y mejoras de habitaclia que te ayudarán a encontrar vivienda y/o vender/alquilar tu inmueble. Servicios externos: comunicaciones con información de empresas que ofrecen servicios complementarios a la compra-venta y alquiler de inmuebles (hipotecas, seguros, tasaciones, suministros, etc.). 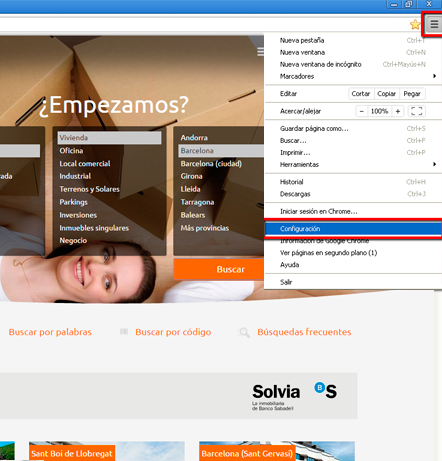 Ofertas y promociones inmobiliarias: comunicaciones con información de promociones de inmobiliarias o promotoras acerca de las promociones inmobiliarias que ofrecen promotoras e inmobiliarias. 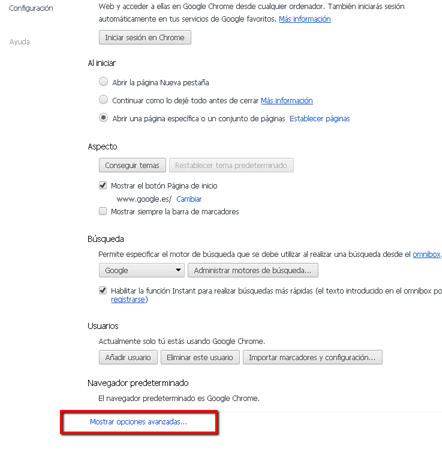 Ofertas para tu anuncio: comunicaciones con recomendaciones y ofertas de habitaclia para mejorar la visibilidad de tu anuncio, multiplicar las visitas a tu anuncio y los contactos recibidos. Noticias de nuestro blog: comunicaciones con artículos sobre el sector inmobiliario. Al darte de alta en nuestros servicios tus datos personales y el resto de información que nos facilites serán tratados para que puedas publicar anuncios en habitaclia. Recuerda que en algunos casos parte de tu información será pública (por ejemplo, tu nombre y teléfono de contacto), es decir, podrá ser visible por cualquiera de los usuarios de habitaclia para que éstos puedan contactar contigo en caso de estar interesados en tu anuncio. Si contactas con un anunciante a través del formulario de contacto del anuncio, los datos que proporciones en dicho formulario los comunicaremos al anunciante para que os podáis poner en contacto. Podrás ejercer tus derechos frente al anunciante dirigiéndote a la dirección que figura en la parte inferior de cada anuncio. Te informaremos de mejoras o novedades en nuestro servicio para que puedas aprovecharlo al máximo. Cuando pensemos que puede interesarte, te enviaremos contenido publicitario de Schibsted y de terceros relacionados con alguno de estos sectores: Financiero, Editorial, Educación o Formación, Empleo, Automoción, Telecomunicaciones, Informática, Tecnología, Hogar, Belleza, Inmobiliaria, Venta a distancia, Gran consumo, Textil, Alimentación, Coleccionismo, Contenidos audiovisuales, Música, Pasatiempos, Ocio, Viaje y Turismo, Seguros, Energía y Agua, ONG y servicios prestados por la administración pública. Mientras utilices habitaclia te podremos mostrar publicidad relativa a los productos o servicios de otros portales pertenecientes a Schibsted Spain o de terceras empresas. La publicidad que te mostramos forma parte de nuestro modelo de negocio, y financia parte de nuestros servicios, por lo que siempre te la vamos a mostrar. Pero, si nos lo permites, podemos usar tus datos para que esta publicidad sea lo más relevante posible para ti. 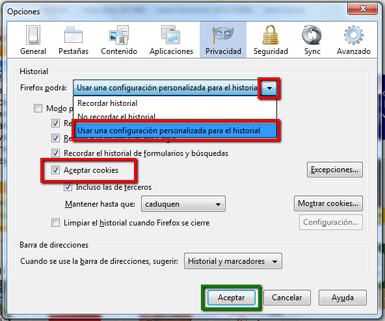 Utilizamos cookies para hacerlo. habitaclia integra herramientas de otras compañías para poder darte mejor servicio. 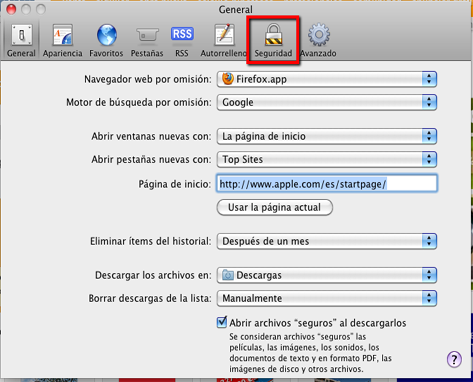 Redes sociales Integramos Facebook o Twitter para facilitar que puedas compartir contenido en tus redes. Ten en cuenta que cuando compartes nuestro contenido en redes sociales, estos servicios pueden capturar lo que publicas y desde dónde. Herramientas de publicidad Para poder mostrarte anuncios que sean más relevantes para ti utilizamos herramientas como Google Adsense y Google Adx. 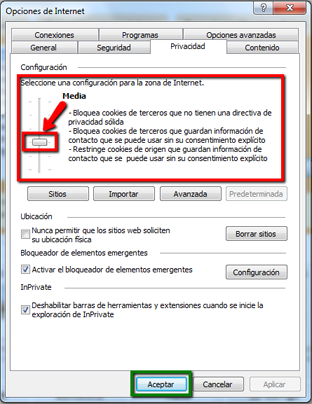 Utilizamos cookies para hacerlo, que puedes gestionar aquí. 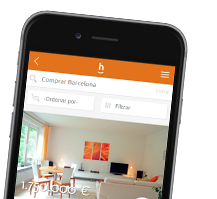 Herramientas de análisis Para mejorar tu experiencia en habitaclia utilizamos herramientas como Hotjar y Optimizely. 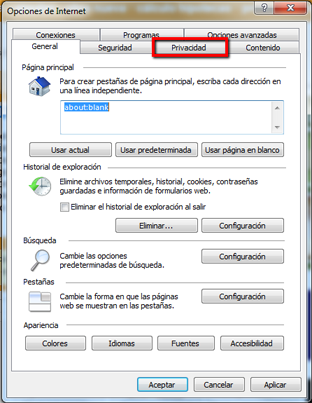 Utilizamos cookies para hacerlo, que puedes gestionar aquí. Tienes derecho a que te confirmemos si estamos tratando tus datos personales y a que te facilitemos una copia de de los mismos. Desde tu área de usuario podrás pedírnosla a través de la funcionalidad ?exportar?. La copia que te facilitaremos abarca únicamente los datos que tratamos en habitaclia. Recuerda que si también eres usuario de otros portales de Schibsted Spain, debes pedir el derecho de acceso directamente en cada uno de ellos. Tienes derecho a solicitar la portabilidad de tus datos personales y a que te los facilitemos en un formato estructurado, de uso común y lectura mecánica, para que éstos datos se puedan transmitir a otro proveedor de servicios. Podrás pedirnos la portabilidad de tus datos a través de tu área de usuario. Recuerda que lo que exportes será solo de habitaclia, no de todo Schibsted Spain. 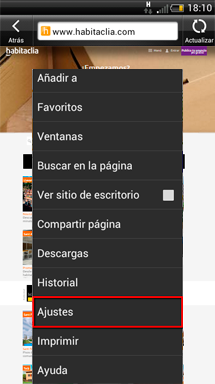 Si eres usuario de otros portales de Schibsted Spain, deberás pedir la portabilidad de tus datos en cada uno de ellos. Tienes derecho a que tus datos personales sean eliminados de nuestros sistemas. Por eso, puedes solicitar el borrado de tus datos desde tu área de usuario. Recuerda que una vez borremos tus datos, tenemos que guardarlos bloqueados durante un tiempo por imperativo legal. Durante ese tiempo tus datos únicamente estarán a disposición de jueces y tribunales, el Ministerio Fiscal o las Administraciones Públicas competentes, en particular de las autoridades de protección de datos. Pasado ese tiempo, borraremos tus datos de forma definitiva de nuestros sistemas. Ten en cuenta que lo que borres será sólo de habitaclia, no de todo Schibsted Spain. Si eres usuario de otros portales de Schibsted Spain y también quieres borrar tus datos, deberás hacerlo directamente en cada portal. Puedes usar algunos servicios sin necesidad de crear una cuenta con nosotros. En esos casos, conservaremos y trataremos tus datos hasta que decidas dejar de recibir el servicio solicitado. En el caso de contactar con un anunciante, puedes empezar a usar el servicio sin ser usuario registrado. Si aceptas que podamos compartir tus datos con un cliente profesional, le comunicaremos tus datos para que te pueda ayudar a vender o alquilar más rápido tu inmueble. Ten en cuenta que si aceptas esta opción, en el momento de compartir tus datos no podremos informarte de la identidad de la inmobiliaria a la que se le comunicarán tus datos ya que ello depende de la zona en la que publiques tu anuncio y en los profesionales inmobiliarios disponibles en dicha zona. Siempre y cuando se nos requiera de conformidad con las disposiciones legales y reglamentarias, tenemos la obligación de entregar a las autoridades públicas competentes cualquier información y datos personales que tengamos sobre ti para la investigación de actividades fraudulentas que se hayan podido cometer en habitaclia. Por último, para poder prestar nuestros servicios de forma adecuada utilizamos proveedores de servicios que deben acceder a tus datos personales. Tenemos acuerdos de tratamiento de datos para garantizar que se tratarán adecuadamente y de forma totalmente segura.